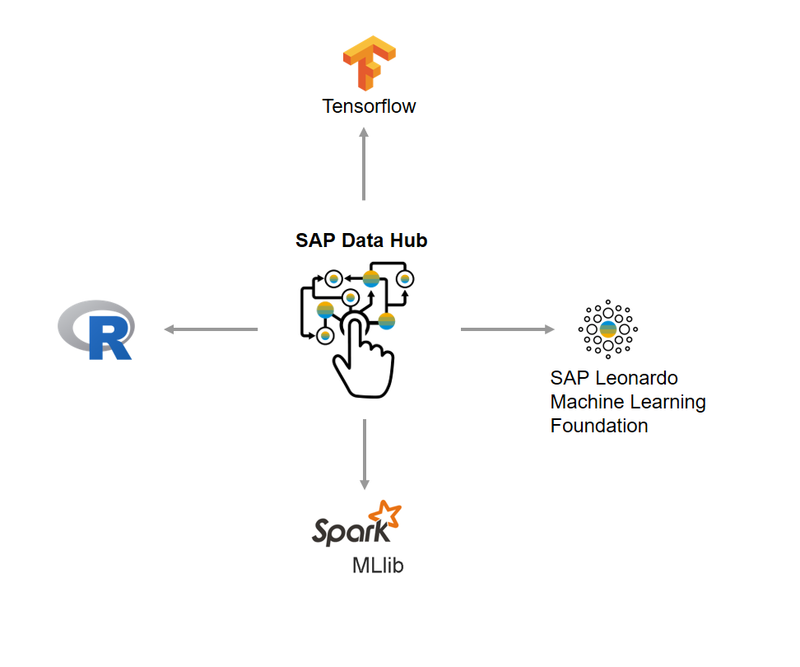 In this article I would like introduce SAP Data Hub as a modern data platform that combines raw data and with data from enterprise landscapes together to address a common problem. With the massive generation of information from the advent of the internet and the increasing digitization of business, there is tremendous opportunity in the new amounts and types of data collected. But this increase has also dramatically increased the complexity of the enterprise data landscape, with multiple data lakes, data warehouses, operational applications, eCommerce, online interactions, and so on. IT is under tremendous pressure to respond to business needs – an increasing number of internal customers who want new analytics, new applications, and better data sharing with partners quickly. 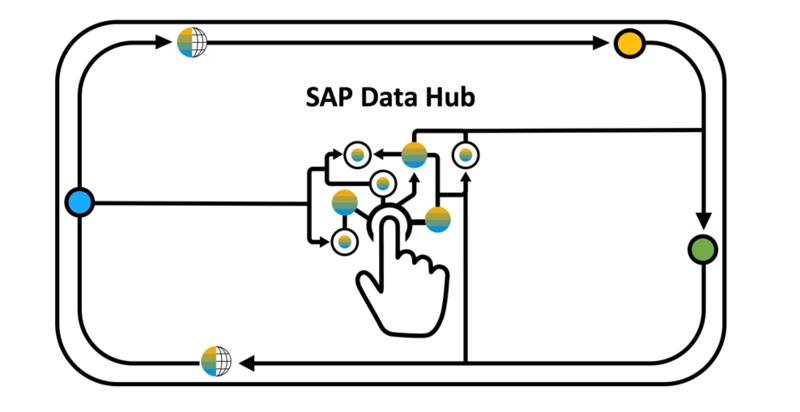 SAP Data Hub is a data operations (DataOps) management solution that enables agile management of data in a diverse landscape across the organization. This enterprise-ready solution provides governance and orchestration for data refinement and enrichment, using pipelining of many complex data processing operations, like machine learning (ML). Rapidly evolving and expanding data landscapes, with more data silos than ever. For example, the Big Data teams managing the Hadoop data lakes are not the same as the people managing the EDW. They use different tools and don’t interact often. Also, business departments often have their own data and their own people managing them. At the overall landscape level, it’s hard to look across all of the systems and information. 1. Governance challenge: Lack of visibility. Who changed the data? What was changed? Who is accessing it? Example: Where did this strange result come from? Who did it? Financial manager reviews a table, finds an unusual result, traces it back to see that someone mistakenly averaged two averages together from different systems. 2. Data Pipeline challenge: Too hard to refine and enrich data across multiple systems. Refine: running computations to move from raw data to candidate data. 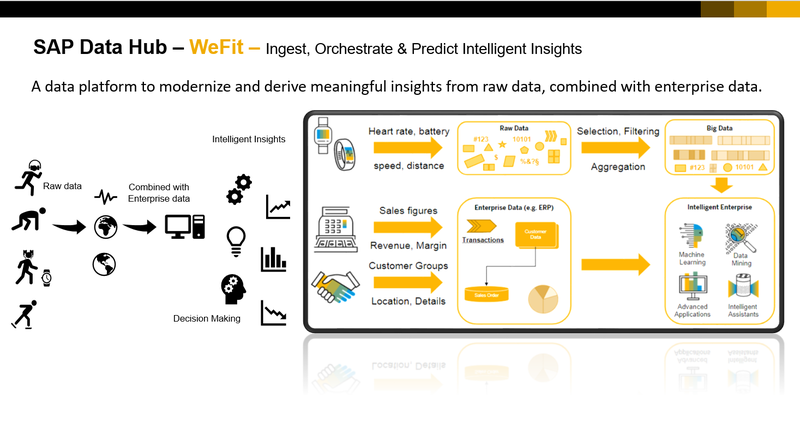 Enrich data by appending information from other systems, such as connecting sensor data with the asset ID and asset profile information, held in a different system. Refinement: You’ve launched a new, colorful, line of Instagram-friendly products. From raw social media feeds, count the number that are positive versus the amount that are negative. Enrich: Harmonize with a product ID, so that you can line up positive/negative comment totals with what people are praising or complaining about. Results can be passed along to product managers, who can use it to evolve the future product, to the services team, to address any negative reviews, or to marketing, to capitalize on a positive trend. Integration is manual, point-to-point, painful, and slow. If you want to change an integration point or add more points to an integration path, good luck. Get in the IT line and wait for six months. 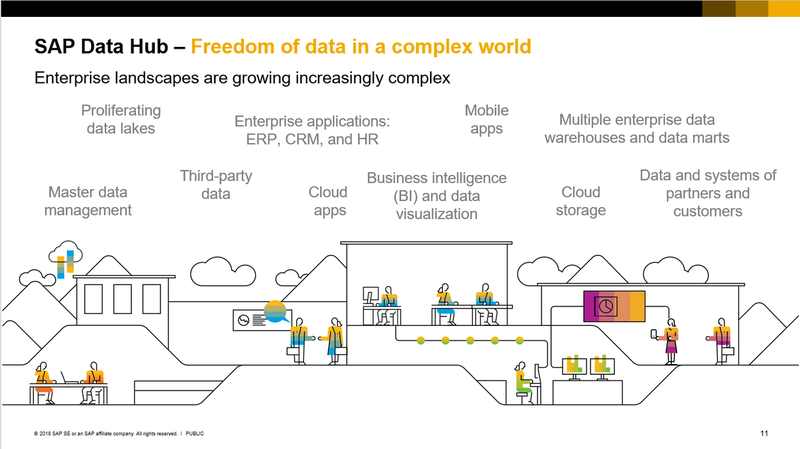 The VISION for SAP Data Hub is to provide the ability to understand, connect, and drive processes across the multiple data sources and endpoints with which the enterprise struggles today. By providing visibility into the landscape of data opportunities, as well as providing an easy way to connect data sources and easily create powerful data pipelines that hop across the landscape, businesses can better achieve the data agility and business value that they seek. 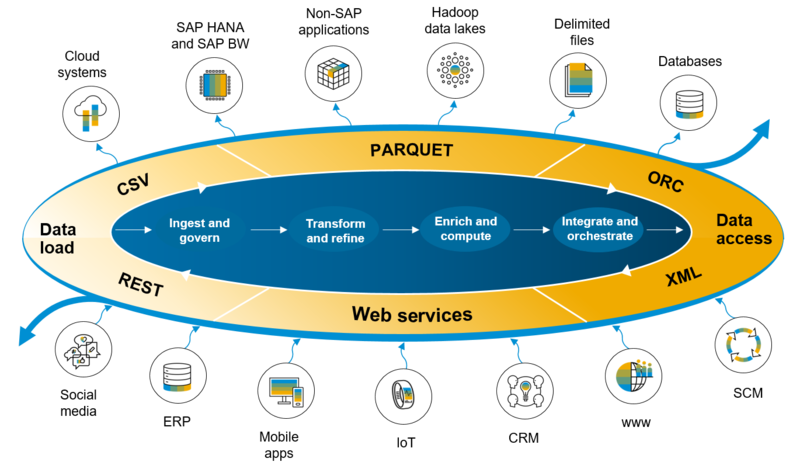 It is an open architecture, which means that it manages data no matter where it is, in the cloud, on premises, in an SAP system like HANA or in a non-SAP solution like Hadoop or cloud object storage. Pipelining with Connectivity, Integration & Machine Learning operators along with the flexibility to write your custom Python and R.
Example pipeline built to modernize and derive meaningful insights from raw data(coming from smart devices), combined with enterprise data and further the data is fed into a Continuous Machine Learning cluster model to identify running groups based on various patterns of running behavior also further gives us information on application usage statistics which then can be used to introduce new features into those smart devices. Insurance industry risk profiling, Credit analysis and automated scoring models and Machine failure prediction leading to automated preventative maintenance. Overall SAP Data Hub is winning hearts and gaining confidence. I will try to cover more industry use cases in my next articles. For more updates stay tuned. 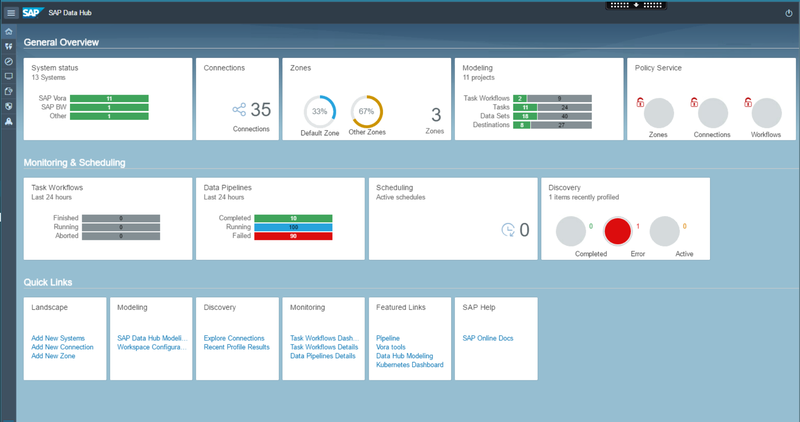 Thanks for the nice post on SAP Data Hub. Do you see that this will kill/replace SAP’s Data Services ETL tool soon ? Thank you! I would say NO. Both are different in purpose and architectural standpoint. Data Hub will be positioned as a unified solution for big data landscapes.